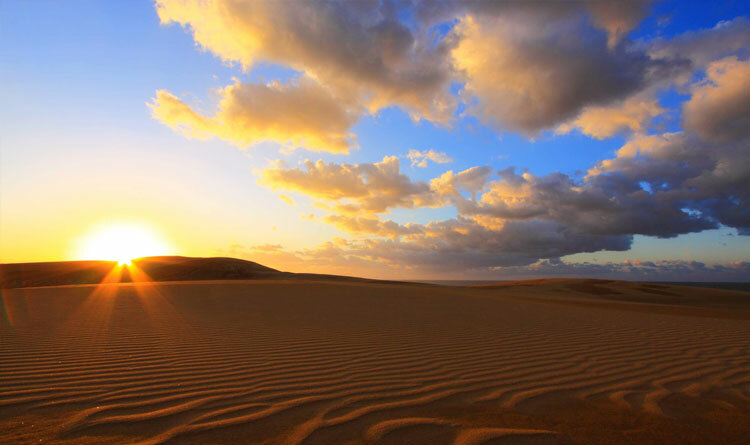 Tottori Prefecture, a coastal area along the Sea of Japan, is well-known for its sand dunes known as Tottori Sakyu. For thousands of years, the hands of nature shaped the sand dunes’ topography that reaches two kilometres wide and fifty metres high. And with a length of roughly around sixteen kilometres, it’s one of the largest sand dunes in all Japan. Camel rides on sandy terrain aren’t your typical Japanese attraction; only in Tottori can locals and tourists experience such. Anyone craving for more thrills can try paragliding over and above the expansive swathe of gold. Another heart-pounding activity for fearless tourists is sandboarding, an exhilarating ride synonymous with snowboarding. In a short walk from the sand dunes, you will reach the Sand Museum. 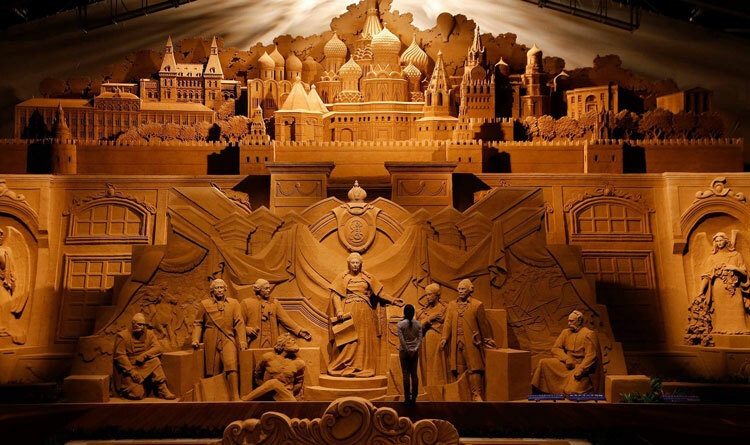 Since its inception in 2006, the museum has showcased sand sculptures with a unique theme each year. For 2018, the theme is all about Scandinavian culture. The previous exhibitions spun around the world from Europe to Asian countries.